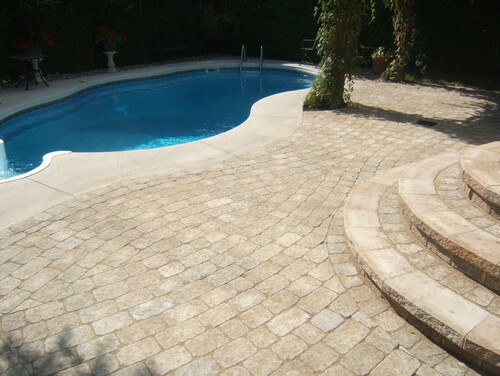 Ottawa Home and Garden is an Ottawa landscape design and build firm. What exactly does that mean? Simply put, we do it all! We design your landscaping project and arrive on-site to build the designs ourselves. There is a lot of work that goes into a landscape design – from the first meet and greet, to coming up with an attractive, updated, functional design for your space. Our landscape designs are customized to your wants and needs. We take what you tell us you are looking for, and design around your ideas while picking up on small nuances and details to create an elegant space that is also practical and balanced. Our overall objective is to create outdoor living space designs that are affordable, functional and attractive, without being too over-the-top. One of the first steps Ottawa Home and Garden takes is working with you to find out what you’re looking for. We then get to work on measuring up your space so we can design it so it works for your home. How often will the space be used? How many people will be using the space? Does the space need to be designed for a younger / older crowd? Should we design the project to endure multiple build phases? When it comes to Ottawa landscape design, trends come and go, so it’s important to design a space that is classic enough to outlast what’s trending. At Ottawa Home and Garden, we excel in such designs. We will keep going back and forth with our clients until they are 100% satisfied with the landscape design services we are proposing before we break ground. Any changes to the landscape design costs the client money and time, and this is something we go to great lengths to avoid. To ensure your landscape project goes as smoothly as possible, we believe it is best to hire a landscape design and build firm, and Ottawa Home and Garden is exactly that! Why should you go with a company that can both design your landscape project and build it for you? The answer is simple. Design and build firms like ours can see potential changes, construction challenges, or hiccups right from our first meeting, and address them right away. This process allows us to identify products and space limitations. With our on-site and on-hand landscape design and build process, we can consult with you on the right products and the optimal applications for specific products throughout the entire project. The imaginations of our clients is our top priority, and we never want our clients to have to sacrifice time and money making avoidable changes halfway through a project. By drawing out your ideas and matching them up with the proper measurements, we can manage all the pieces of the puzzle to complete your project, problem-free, from the beginning. When you deal with Ottawa Home and Garden, there is no third-party approvals to seek, which is nice because doing so only ends up slowing the process down and costing you more money. You can also rest assured knowing that those who design your space will also be building your space, which leaves out all the unknowns as to who will do what. It’s possible to spend your entire budget with a landscape design-only firm – but at that point all you have is a beautiful, expensive drawing or design. However, we’ll manage all these moving parts decisively and effectively for you. We live in Ottawa like you do, so we understand that in our climate, the limited outdoor living time we get is precious. This means landscaping decisions need to be made on time. Communicating directly with our clients is monumental in achieving this. 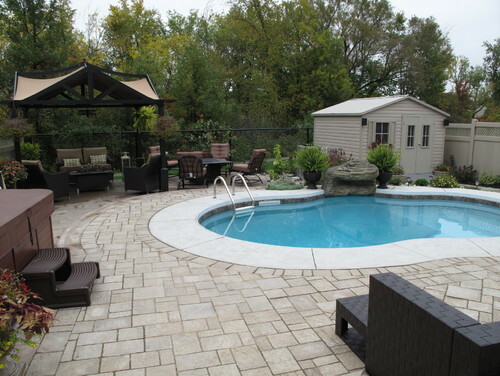 Ottawa Home and Garden can help you come up with the perfect Ottawa landscape design to maximize both the value of your property and the enjoyment of your outdoor living space. For more information about Ottawa Home and Garden’s landscape design services, please take a look through our portfolio, and give us a call or email us today! We’d be happy to provide you with a free estimate and go over your options. We look forward to helping you create an outdoor dream space you will want to show off year after year!